Comprehensive range of high-end analytical and process instrumentation, laboratory and on-site monitoring equipment as well as a complete range of consumables, chemicals and reagents. Water analysis instruments covering the full range - from pH, ISE, conductivity and dissolved oxygen meters, electrodes and solutions, to colorimetry, titration and on-line process monitors. We meet the robust, yet precise needs of the environmental, industrial, research, and municipal sectors with an extensive range of testing, measurement, monitoring and control devices, and associated consumables. Our product offering includes the full range of portable, fixed point and open path gas detection equipment which incorporates leading edge Infrared, Electrochemical, PID, Catalytic and Chemcassette technology. Thermo Fisher offers personal protective equipment (PPE) and devices offer worker protections from chemical hazards as well as health hazards such as noise, vibration, heat or cold, dust and particulates, toxic gas and vapour, radiation and infectious diseases. A full range of environmental test chambers for the most challenging environment for simulation including stress and shock, sound and vibration, weathering through humidity for corrosion, flammability and effects of solar/ lighting. Thermo Scientific process gas analysis technologies deliver faster, comprehensive, lab quality online gas composition analysis. Versatile data loggers compatible with most types of sensors providing with analogue and digital channels as well as WiFi options. Portable devices to monitor gas and dust emissions to ensure environmental compliance with regulatory limits. Landfill and contaminated site pumping, intrinsically safe digital pump controllers with longevity. Wellhead caps, as well as all dimensions of tubes, hoses and fittings. We offer a full range of devices for collecting soil samples, soil vapour and sediment for the purpose of environmental, agricultural and geotechnical testing with solutions for soil, sludge and sediment sampling and remediation. Advanced technologies to assist safety managers to maintain high standards in hazard identification and regulatory compliance. Ensure lone workers safety and minimize environmental footprint. A suite of solutions to meet lab's specific needs, from enterprise-level integrated informatics to custom software for a particular application. 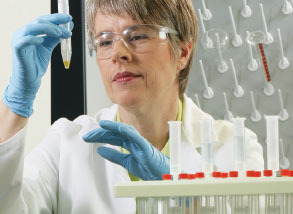 With 50 years of combined industry experience, certified lab engineers ensure the highest level of confidence for users of calibration instrumentation.